I bought one, getting used to throwing it took a little bit since I was used to a smaller net, but now I throw a near-perfect net most of the time. Results? Too darn cool. 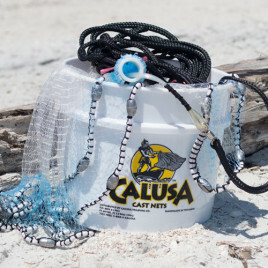 It works better than my Betts or Ahi nets, both of which I use alot but this is my new favorite! Buy one and learn to throw it and you’ll never want another!